Acetyl-L-Carnitine may reverse age-related cognitive decline, and improve memory. Acetyl-L-Carnitine (ALCAR, ALC or LAC) is a synthesized version of L-Carnitine. 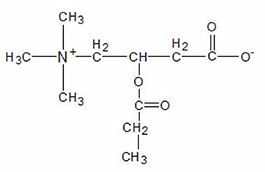 Which is a derivative of the amino acids lysine and methionine. ALCAR is more bioavailable than L-Carnitine. It easily crosses the blood-brain barrier. And delivers L-Carnitine across cell membranes (which it would not be able to cross on its own). L-Carnitine is naturally made in your liver and kidneys. And then transported to other tissues including your brain and heart. Brain Energy Metabolism. ALCAR helps transport of fatty acids into mitochondria where they’re needed for energy metabolism. Fueling your cells “power plants” can boost physical and mental energy. Neurotransmitters. ALCAR is a necessary ingredient for acetylcholine formation. Which boosts memory, mental alertness, and fluid thought. 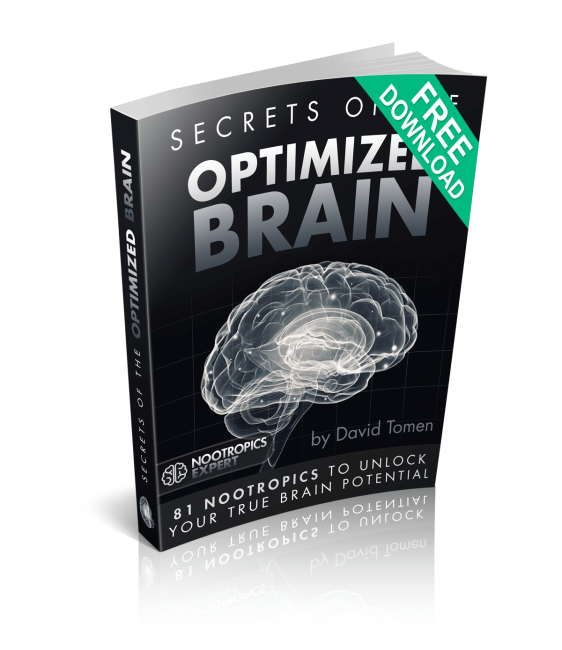 Brain Optimization. The antioxidant properties of Acetyl-L-Carnitine provides neuroprotective qualities, boosts Brain-Derived Neurotrophic Factor (BDNF), and promotes cerebral blood circulation. L-Carnitine vs. Acetyl-L-Carnitine: What’s the Difference? How does Acetyl-L-Carnitine Work in the Brain? L-Carnitine is an amino acid that’s synthesized in your body. You also get it from red meat and dairy. L-Carnitine is considered a “conditionally essential” nutrient because when your body uses it faster than it can produce it, you need supplemental L-Carnitine either from food or a supplement. L-Carnitine is used throughout your body. Here we’re talking about the Acetyl-L-Carnitine form of L-Carnitine because of its affects on brain health and chemistry. L-Carnitine and Acetyl-L-Carnitine are often referred to as Carnitine. But each are structurally different, and each has its advantages. L-Carnitine: Provides energy for the mitochondria of your cells, but is not capable of crossing the blood-brain barrier. Supplemental L-Carnitine is difficult for your body to absorb; only 18% of it reaches your bloodstream. L-Carnitine is favored by athletes and dieters who want Carnitine’s fat-metabolizing benefits. But are not seeking any brain benefits. Acetyl-L-Carnitine boosts brain health and function in several ways. But two in particular stand out. Alzheimer’s-diseased brains show a 25% to 40% reduction in carnitine acetyltransferase, a brain enzyme that works with L-Carnitine & Acetyl-L-Carnitine. As ALCAR shuttles fatty acids into mitochondria, it provides the fuel that is burned for energy. As ALCAR shuttles fatty acids out of mitochondria, it flushes out toxic byproducts. ALCAR maintains mitochondria in nearly every cell of your body. 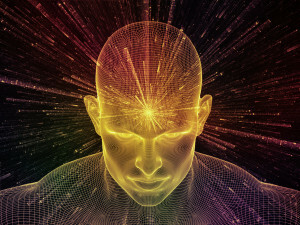 Your brain consumes at least 20% of your body’s energy. And generates a lot of toxic byproducts. So ALCAR is particularly important for a healthy brain. You may not feel ALCAR… unless you’re elderly or have Erectile Dysfunction. Within those specific groups, Acetyl-L-Carnitine helps with memory, mood, mental performance and the ability to get and maintain an erection. ALCAR’s brain support and its ability to fuel the mitochondria in your brain cells should boost cognition in all age and gender groups. 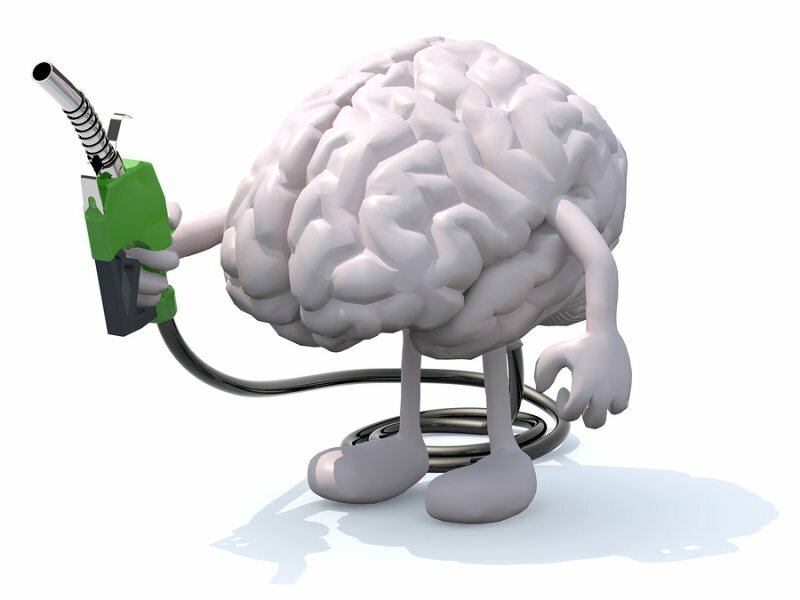 As a nootropic, ALCAR user reviews report a boost in energy and quick thinking. And a study conducted at the Mount Sinai School of Medicine in New York found that ALCAR has potential in treating the symptoms of Parkinson’s Disease. By directly affecting mitochondrial respiration and assisting dopamine neurons and the use of dopamine in the brain. In this study ALCAR seemed to ward off further brain deterioration. And could be considered as therapy for brain degeneration. 130 Alzheimer’s patients were given ALCAR or a placebo daily for a year. They were tested across 14 points of cognitive performance. Acetyl-L-Carnitine has been shown to improve fatigue in patients with chronic fatigue syndrome. In a randomized, double-blind, crossover study; 36 people were treated for 3 months with either amantadine (used to treat Chronic Fatigue), or 1 gram of ALCAR twice daily. Research has shown ALCAR to be effective in protecting your mitochondria from oxidative stress. But these guys took it a step further. Keep that in mind before your next party. In this study, 120 patients were split into 3 groups. Group 1 was given 160 mg of testosterone per day. The 2nd group was given 2 grams of Propionyl-L-Carnitine plus 2 grams of Acetyl-L-Carnitine per day. And the 3rd group a placebo. Did you know that there’s an International Index of Erectile Function? Acetyl-L-Carnitine suggested dosage for cognitive benefits is 1 – 4 grams per day. For improved mood and elimination of chronic fatigue, 1 – 3 grams of ALCAR per day. For age-related memory concerns, 1 – 2 grams of ALCAR per day. ALCAR is water-soluble and can be taken on an empty stomach with water. 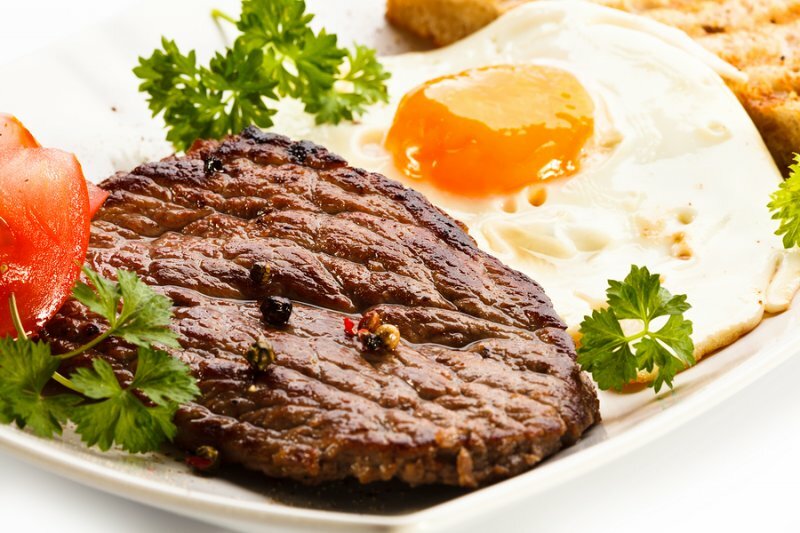 A few supplement manufacturers recommend taking their Acetyl-L-Carnitine with a meal. Which implies that it’s fat-soluble for which I’ve found no evidence in the scientific literature. Acetyl-L-Carnitine is produced naturally in your body. So is considered well-tolerated and safe. 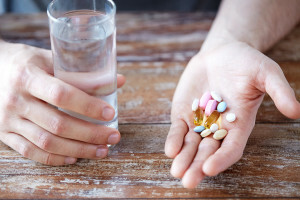 Side effects are rare but can include nausea, vomiting, increased agitation, weight loss, and restlessness. You can also see an increase in seizure frequency if you have any kind of seizure disorder. Acetyl-L-Carnitine: L-Carnitine with an extra acetyl group. This version is more bioavailable and easily crosses the blood-brain barrier. L-Carnitine: This is the standard form of carnitine found in food. Lipo-Carn®: A proprietary blend of Alpha-Lipoic Acid and Acetyl-L-Carnitine. Studies show this combination is a powerful anti-aging duo. Propionyl-L-Carnitine: L-Carnitine combined with propionic acid. This form is noted for its antioxidant activity, and is used for heart health applications. Also useful for erectile dysfunction. ALCAR 750 mg is also included in the Performance Lab Energy nootropic stack. We recommend using Acetyl-L-Carnitine as a nootropic supplement. ALCAR is especially helpful for those suffering from age-related cognitive decline. Studies show it helps stop or reverse brain degeneration with Alzheimer’s Disease, and depressive disorders. Particularly in the early stages of the disease. We suggest starting with a dose of 500 mg daily. ALCAR is a great compliment to a stack including Piracetam. Add a choline source (Alpha GPC or CDP-Choline) at a ratio of 1:4. 1 gram of Alpha GPC to 4 grams of Piracetam. Take enough choline to eliminate a racetam-induced headache. Then add 500 mg of ALCAR. Some have found ALCAR stacked with Coenzyme Q-10 has a profound effect on everything from mood to bipolar disorder. Especially combined with Alpha-Lipoic Acid. Age-related cognitive disorders like Alzheimer’s may want to up the dose to 1,500 mg per day. I was wondering why a basic piece of information regarding the use of the various supplements (i.e. Water or fat soluble ) is rarely provided anywhere, including from the suppliers of the nootropics themselves. Michael, not an easy question to answer. I imagine some of the marketing people for these companies are not aware of fat- vs. water-soluble. A few supplement makers include in a supplement’s directions to take it with a meal. The implication there is that the meal provides enough fat for the supplement to be absorbed by your body. 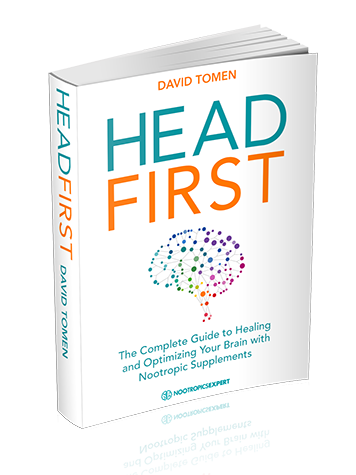 It’s really up to every neurohacker to become very familiar with each supplement in their stack. And find out if it’s water- or fat-soluble. I’ve included that information in the “Dosage Notes” section of each nootropic written about here on Nootropics Expert. Hope that helps. Thanks for the great information, can you tell me if better to take ALCAR with food or on an empty stomach. My web research is yielding mixed results. Paul, I’m editing this comment because according to the clinical study linked below, ALCAR is water soluble. And the researcher’s advice on the very last line of this study says, “Carnitine supplements are therefore likely to be much better absorbed on an empty stomach! I’ve found ACAL a great supp to stack with my other brain boosters, and the effects are very notieable with and without ACAL. However if I go beyond 500g a day I get excessive blood thinning and my nose literally pours a watery blood. I take nothing else that thins my blood but I have noticed a similar effect from some other amino forms and also taurine, so I assume I am one of those with a natural tendency to have thin blood. Jay, blood thinning is one of the few side effects of using ALCAR. Thanks for your comment. I am hemophiliac, so I can’t take it, right? ALCAR boosts blood flow but does not ‘thin’ the blood. So please check with your doctor before trying Acetyl-L-Carnitine. Thanks for all the information! I’m really enjoying your videos and texts. Could you give me your opinion on my case, please? I’m 27 and I was recently diagnosed with Multiple sclerosis (I’m not taking any specific treatment), I’ve been taking vitamin D for 2 months (5000 i.u.) and started to feel dizzy, so I stopped. I have always been a very positive and communicative person, but I have been feeling anxious, discouraged, with repetitive negative thoughts, and difficulty in sleeping. Three days ago I started taking a supplement (below follow the composition) to boost my mood and cognition (since I’m a student). After taking the supplement and a coffee this morning I was feeling very happy (more than usual) however, after ~1 hour I started feeling very accelerated and with a bad feeling, especially after taking a strong tea (high caffeine concentration). This sensation lasted for about 1hour. Actually, I have an accelerated metabolism and sometimes if I take like 2 or more coffees I feel very accelerated (my heart too) and with a bad feeling. However, I drink a cup of coffee every morning and it’s ok.
Do you thinking the supplements I’m taking could be bad for me? Nayara, The dosage of each of the supplements you are taking in this stack are very low. So low in fact that most will not provide much therapeutic benefit at all. On a more positive note, the synergy with many of these compounds working together will boost their effectiveness somewhat. It is certainly not “bad” for you. It seems caffeine is causing you problems. You already have the equivalent of the caffeine dose of one coffee in this supplement. It sounds like you are having a negative reaction from additional caffeine. You can counteract this effect by using L-Theanine. Either with a L-Theanine supplement. Or preferably drinking 3 or 4 cups of green tea throughout your day. See my review on L-Theanine here on Nootropics Expert. This is what I would do if I was diagnosed with MS. I would learn everything I could about this disease. What causes it, and what it is doing to my body and brain. Study it until I understood what is going on. Then look for ways to either “fix” it or keep it under control. Multiple sclerosis involves the loss of a specific type of cell that is required for making myelin. Myelin is the sheath surrounding axons in your brain and body. Axons send signals between neurons. Think of myelin as electrical tape wrapped around an electrical wire which protects the wire. If the electrical tape is removed, the wire is exposed and can short-circuit. And quickly burn out. This destruction of myelin seems to be caused by your autoimmune system attacking this myelin sheath because it identifies it as the enemy. Learn all you can about this disease. Then use resources like Nootropics Expert to search for ways to boost your immune system. And keep the inflammatory proteins that attack myelin in check. Then look for ways to rebuild myelin. 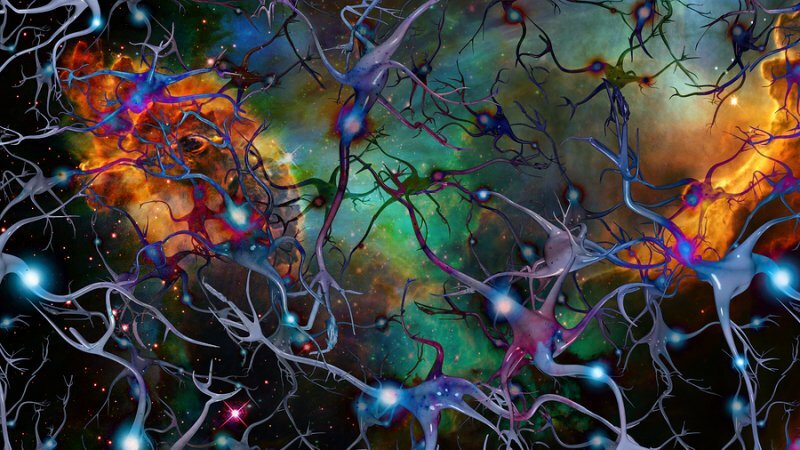 Ashwagandha for example helps regenerate axons and dendrites of brain nerve cells. And helps reconstruct synapses, the junctions where nerve cells communicate with other cells. Pine Bark Extract (Pycnogenol) inhibits proinflammatory gene expression. You need Vitamin B6 to help control inflammation in your brain. B6 suppresses the inflammatory cytokines interleukin-6 (IL-6) and tumor necrosis factor-α (TNF-α). The inflammation that is likely contributing to myelin destruction. 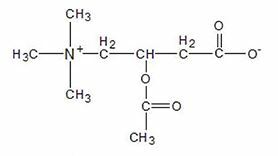 Vitamin B1 (Thiamine) also contributes to the production of the enzyme PDH which is essential for making the neurotransmitter acetylcholine. And for the synthesis of myelin, which forms a sheath around the axons of neurons. “Feeling anxious, discouraged, with repetitive negative thoughts, and difficulty in sleeping” is a perfectly natural reaction to being diagnosed with something like MS. The best way to turn this around is to do whatever you can to take back control of your own health. You can do this. I did and it saved my life. I’m not saying that you can completely “heal” yourself. But taking back control as you are starting to do will make all the difference. And take action with what you learn. I have weird problem with ALCAR. When I am taking it, I feel no effect (low dosage – 500 mg), or I am becoming tired (1000-1500 mg dosage). Thomas, it could be the ALCAR is simply not for you. If a higher dosage of ALCAR causes fatigue it usually means too much acetylcholine. Same thing happens when using too much Alpha GPC or CDP-Choline. does ALCAR need to be cycled or can we become resistant to it? JB, ALCAR is a version of carnitine which is an essential nutrient in your body. If you became “resistant” to it you would die. So no, it does not need to be cycled. ALCAR is the kind of nootropic that you can dose 3 or 4 times a day for the rest of your life. A question: my understanding is that the extensive use (chronic, daily basis) use of some amino acids can lead to the depletion or imbalance of some others . This is the case for Tyrosine for instance, So.. Does ALCAR represent a risk in this aspect ?. Roman, excess tyrosine can deplete serotonin. But supplementing with ALCAR even at higher doses does not seem to negatively affect other neurotransmitters or amino acid levels. I have both ALCAR and L-Carnitine. I bought L-Carnitine (2 bottles) before coming across your site. I was wondering if I can take both L-Carnitine and ALCAR at the same time. I really don’t want to throw away the L-Carnitine if I don’t have to. Do you think I should just throw away the L-Carnitine and count my loses? Last ques: I notice in one pic you had the vitacost brand of ALCAR pills and those were the ones I bought. Then I noticed in another pic you have the primaforce ALCAR powder. Should i have not bought the brand of pills and gone with the other brand and powder? Pati, I use both L-Carnitine and ALCAR and you can too with no problem. You just may want to cut back your dose of both. I use ALCAR for my brain. And L-Carnitine helps L-Arginine work for better erections. But they clearly both provide carnitine. ALCAR is popular with the sports and athletic community so is supplied by manufacturers who sell to the athletic market, nootropics community or both. So there are more suppliers to choose from. After I qualify a manufacturer, in this case I look at reviews to find out which supplement is preferred. And since I make my own capsules, which one is available in powder form. How much for shipping ypur book “Head First” to Norway? Harald, Head First is a digital book and you can download it in whatever version you require for your ebook reader. I almost always have blood pressure of 120~/80~, after taking the above for the first 4-5 days I started noticing that my blood pressure is at at 75~/50~ for the past 3 days, I test it 4-5 times a day and it’s always this low, I’ll decrease the amount of both by x2 and see if it improves. I guess one of them has something in it that enhances the effect of lowering blood pressure. Edgar, It could be the Turmeric that is causing the drop in blood pressure. But it’s just a guess. Do some research on Quercetin and Bromelain and see if they have any effect as well. I’m not familiar enough with any of the others near the top of your list. But something in there could be the culprit too. I was wondering if ALCAR is an appropriate supplement for those who suffer from hypothyroidism as there is a good amount of research papers suggesting it is an antagonist especially to T3? I’ve been using ALCAR for about 10 years and am hypothyroid using NP Thyroid (similar to Armor). And have not had any problem. But I also use NALT which stimulates the synthesis of T4 & T3. So is it counteracting inhibition by ALCAR? I don’t honestly know. Just that it works in real life. ALCAR is critical for a host of health issues and especially for something dealing with thyroid issues. The best way to know is use ALCAR and then get a thyroid panel done. And to be on the safe side, don’t dose ALCAR at the same time as your thyroid meds. Leave a 1 – 2 hour window between ALCAR and thyroid medication. Which is better? NALT or ALCAR? Would rather only order one so trying to figure out which is more beneficial. Sarah, neither is ‘better’ because N-Acetyl L-Tyrosine and Acetyl-L-Carnitine are two completely different nootropics with different mechanisms of action and different benefits. Please read both reviews again and do a ‘cost benefit’ to determine which may work best for you. I’ve just started taking a combination ALCAR and ALA (Alpha-Lipoic acid) product that’s specifically designed for sexual health. 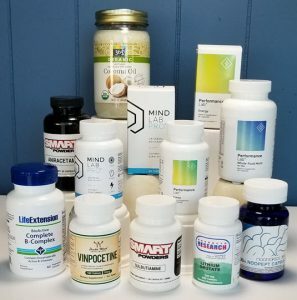 I’ve taken a whole bunch of supplements before to repair damage done to my erectile function and mental health (stimulants, antidepressants, recreational stuff). It’s just been 6 days, but I have to say I don’t feel any marked effects or improvement so far. In fact, I feel slightly less satisfaction. Is there an adjustment process that I need to ride out? How long is it, and when I can start to reap the benefits of this stack? Vishal, I’m know much more about the human brain than I know about sexual health. But, I am male so first thing is you don’t mention the dosage of ALCAR and Alpha Lipoic Acid your are using. And I’ve personally found that 6,000 mg of L-Arginine with 1,000 mg of L-Citrulline does wonders for an erection. Could you clarify a couple of points please? In your article you say ALCAR is water soluble and there is no scientific evidence it is fat soluble. The in your response to a comment you say it is fat soluble and you take it with oil. I have taken it on an empty stomach with liquid for a year and benefitted from mental alertness and probably lost a little body fat. However I read long term use can make some people need a couple of naps a day. I was finding a power nap helpful in the afternoon so wondered if ALCAR was making me feel like this? Steve, I’m not sure what I was thinking when I made that comment a year ago. I just re-read the study linked to in that comment and the researcher clearly states in his very last line, “Carnitine supplements are therefore likely to be much better absorbed on an empty stomach!) https://www.ncbi.nlm.nih.gov/pmc/articles/PMC2278553/. So I needed to go back and edit that year-old comment. Thank you. I’m interested in stacking my ALCAR with CoQ10. What amounts would you suggest of both? Specifically for mood due to Bipolar? Gabriella, ALCAR is dosed at 1 – 3 grams per day. Higher doses are split into 2 or 3 smaller doses to make up the total. CoQ10 is dosed 100 – 400 mg per day depending on what your body needs. For both of these start at the lower dosage and see how your body and brain react. Then slowly increase to the highest recommended dose as needed until you feel better. I have been trying to find out if taking apple cider vinegar (acetic acid) with L-carnitine, would be the same as taking ALCAR – comments? David, I don’t believe so because acetic acid is produced by acetic acid bacteria during fermentation. Acetyl-L-Carnitine is where an acetyl group displaces the hydrogen atom in the central hydroxyl group of carnitine (https://www.ncbi.nlm.nih.gov/pubmed/17331998). This is a natural occurrence within cells. My brain fog vanish if i take at least 1000 mg ALCAR at morning. The problem is that i get insomnia if i take more than 250 mg ALCAR. Do you have any idea why ALCAR causes insomnia for me? Hello I wanted to use ALCAR with CoQ10. In the text mention that it may increase seizure frequency. I’m diagnosed with epilepsy, but neve had a seizure disorder. The worst that happened was stop feeling my body for 1 minute (fully conscious). Is it safe to take it alcar IN THIS CASE? Marcos, I’d be cautious about using ALCAR if you are dealing with epilepsy. It may cause seizures. Hello i wanted to use some supplements for my depression antidepressants so many years don’t work very well.Any suggestions with specific supplements please?